Olga Schoberová is about to enjoy some grapes from Femi Benussi in POPPEA'S HOT NIGHTS. 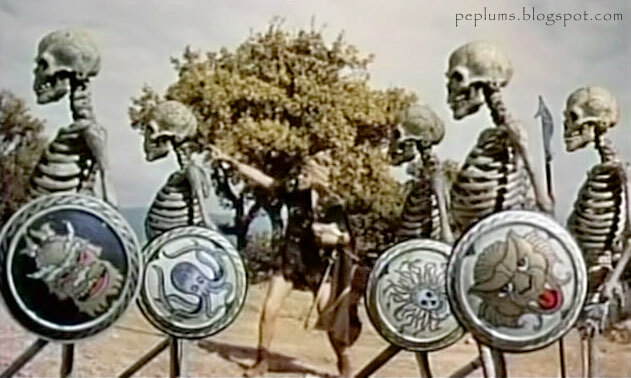 One of those rare Sword & Sandal films made in the late 1960s/early 70s. 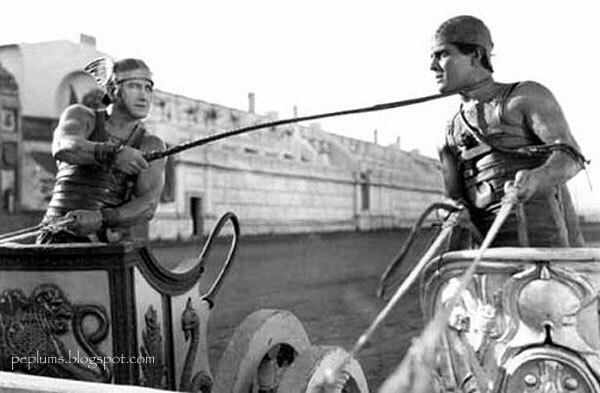 Can you identify this movie? 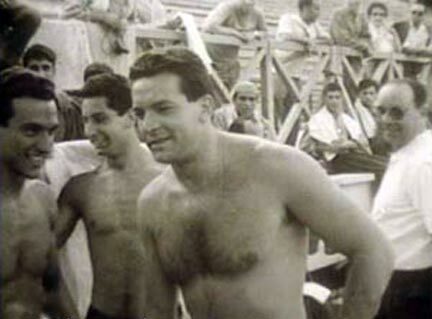 Bud Spencer, aka Carlo Pedersoli, was the first Italian to swim the 100 m freestyle in less than one minute. He achieved this on 19 September 1950. 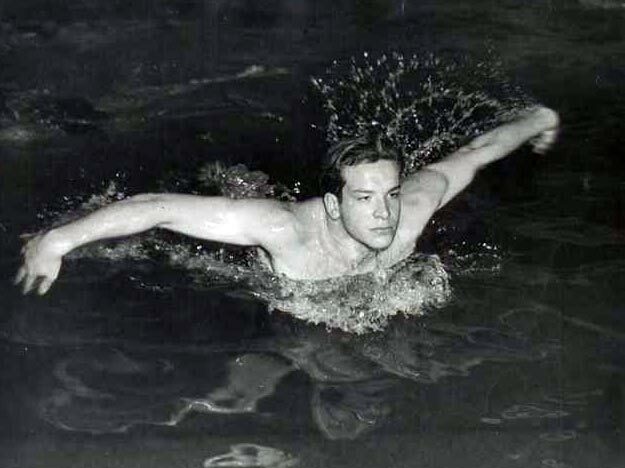 Spencer participated in the 1952 Olympic Games in Helsinki, Finland, reaching the semi-finals in the 100 m freestyle (wikipedia). 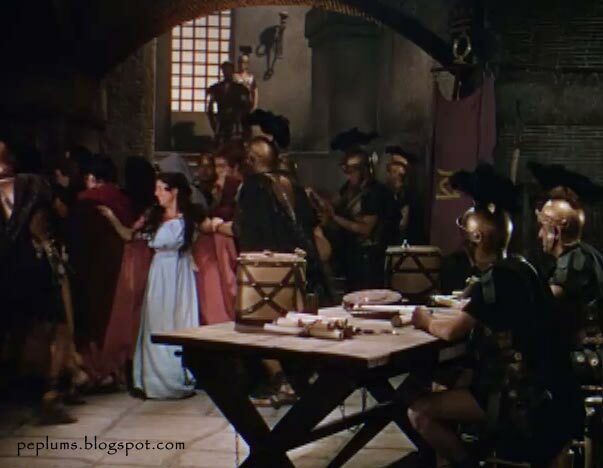 Spencer would have a brief cameo in QUO VADIS in 1951 and one of his first speaking roles in HANNIBAL (last photo). Amazing how Bud would turn out. Arf. The Golden Minotaur in SINBAD AND THE EYE OF THE TIGER. 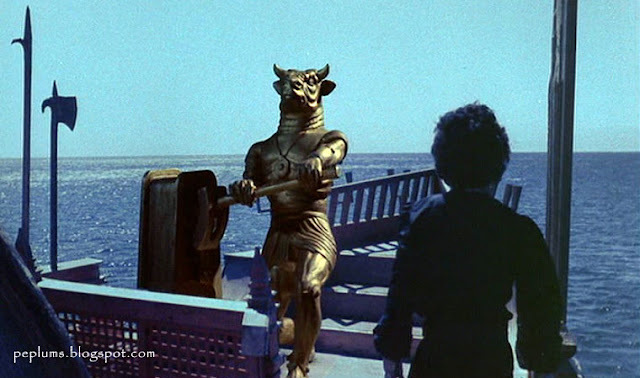 One of Ray Harryhausen's most memorable creations. Brad Harris and Tony Kendall in one them KOMMISSAR X movies. I usually don't play video games (I don't have much time) but I do have a PSP and play when I'm on the go. I found this game and it's fun. 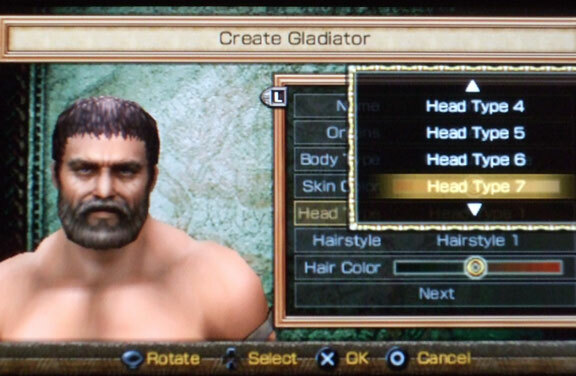 Just setting it up is fun: like many games, you can design your own characters, in this case gladiator; you can rotate him (or her), give him difference faces (all of them angry), different body types. The possibilities are endless. 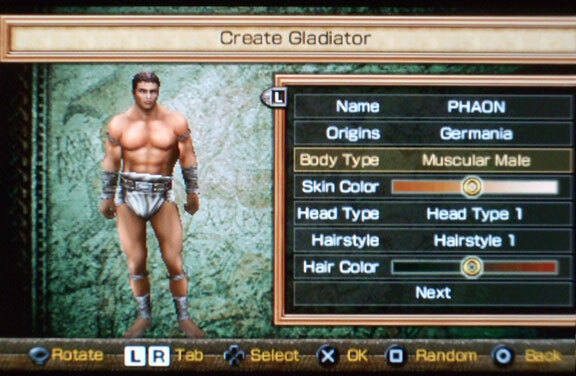 I named this gladiator PHAON, from SAPPHO ~ THE VENUS OF LESBOS. 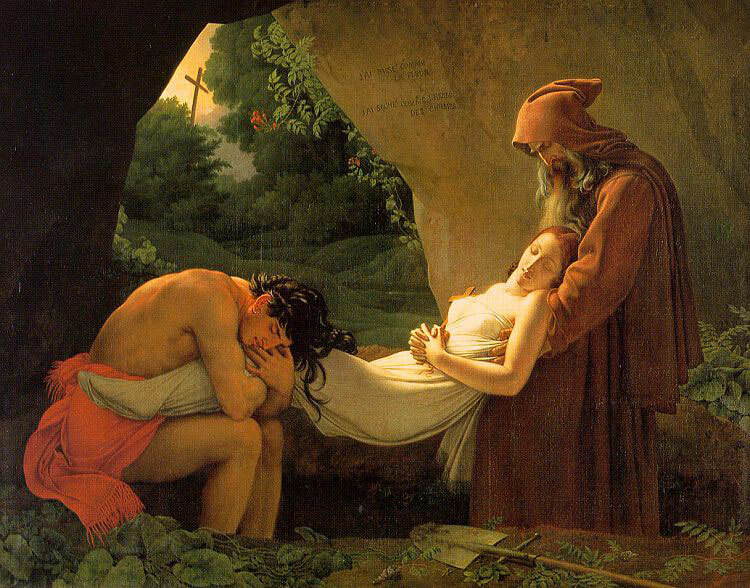 Next one should be HYPERBIUS. There should be a game with all the big PEPLUM stars, like Steve Reeves, Mark Forest, etc and design their look. Now that would be cool. 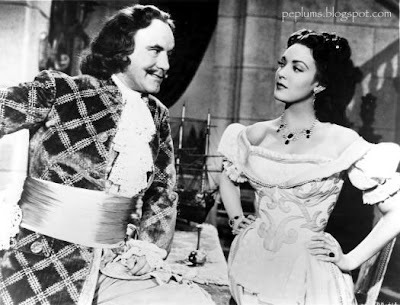 beautiful in this fun film. This photo is a great example. 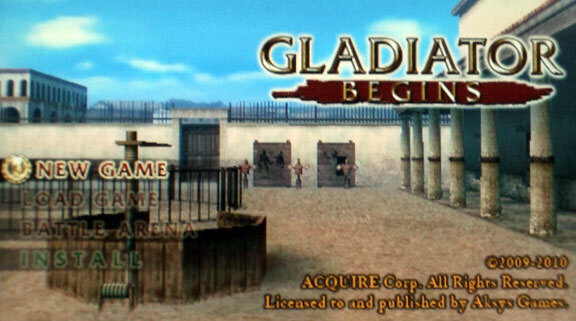 is more Roman inspired than American. 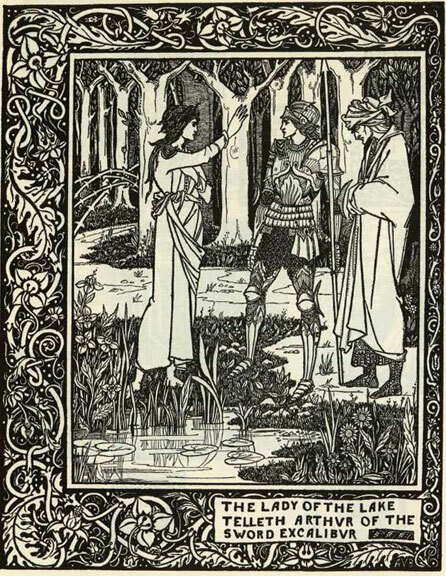 They should make a movie based on this. Kirk Morris in CONQUEROR OF ATLANTIS. Great photo. I've already uploaded this photo on facebook in a folder for Kirk Morris. I'll be creating folders for every star and uploading several photos there. 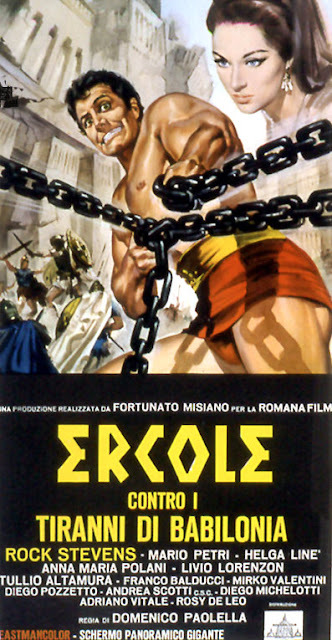 Italian poster for HERCULES AGAINST THE TYRANTS OF BABYLON. 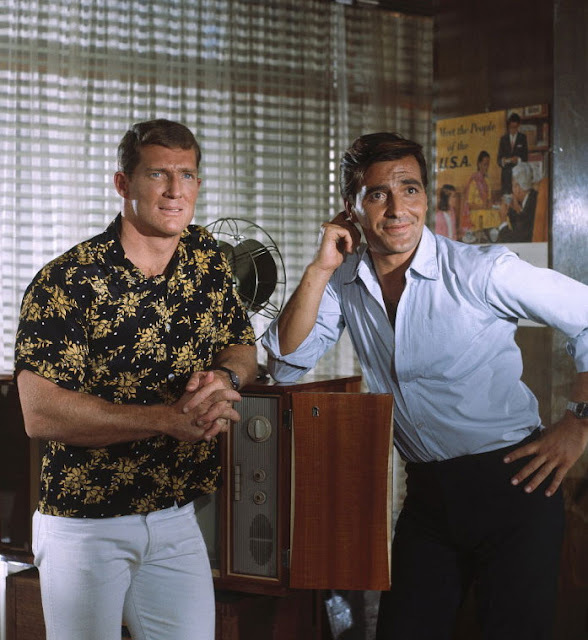 Peter Lupus looks, hmm, crazy. 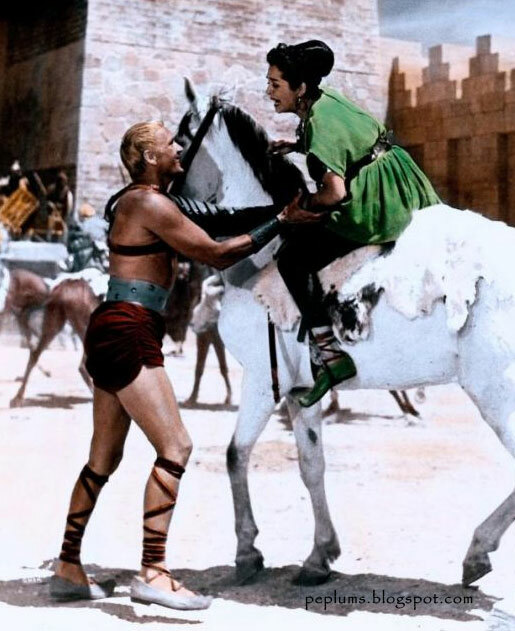 Georges Marchal and Gianna Maria Canale in THE WARRIOR & THE PRINCESS. be one of the best PEPLUMS ever. 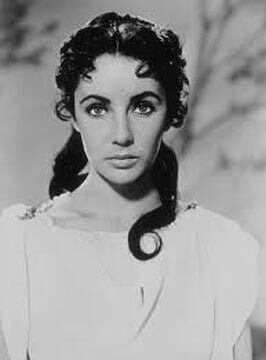 Elizabeth Taylor, who did a screen test for QUO VADIS, reportedly has a cameo in it after she lost the role to Deborah Kerr. It's difficult to find her in the movie, which boasts a cast of thousands. But here is what some believe is Liz's very brief appearance in the epic movie. 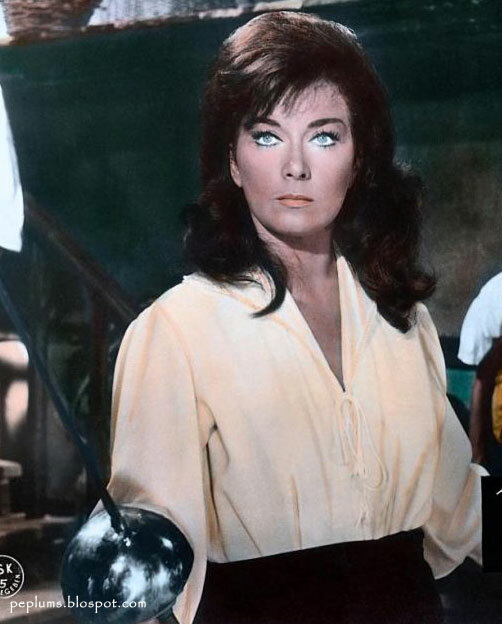 Sophia Loren is also reported to be in the movie but I still didn't find any sign of her. 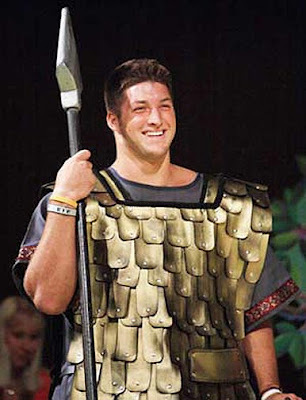 rising football star is in some sort of play as a Roman soldier. A buff Tim practicing in the field. 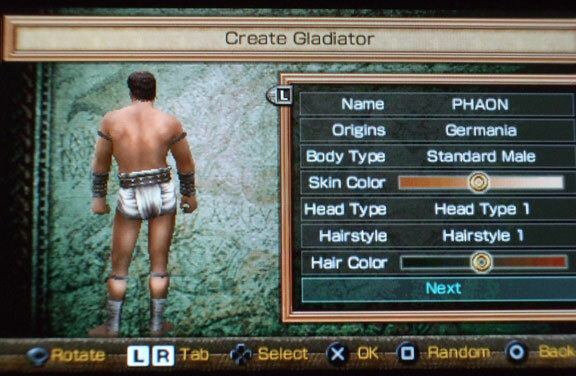 The gridiron gladiator reminds me of Sam Worthington. 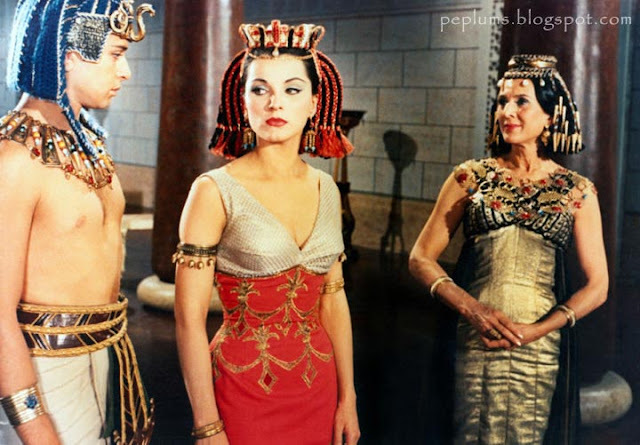 Corrado Pani, Debra Paget and Yvette Lebon in CLEOPATRA'S DAUGHTER. 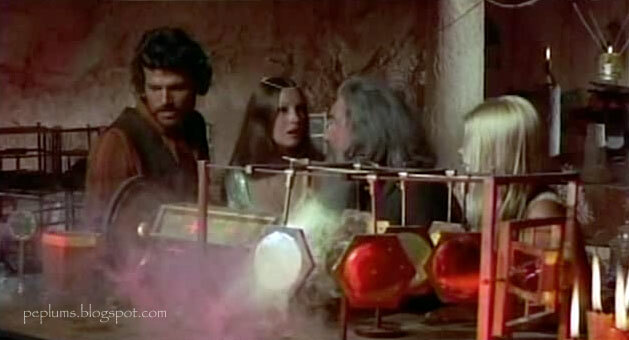 Steve Reeves with some *really* happy girl at some party or function. 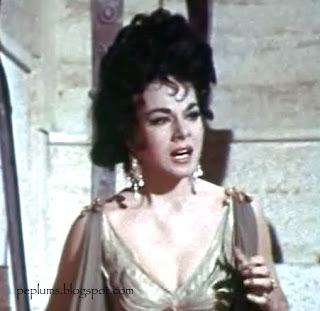 Ludmilla Tchérina as Amitys in SINS OF ROME (original Italian title: SPARTACO). 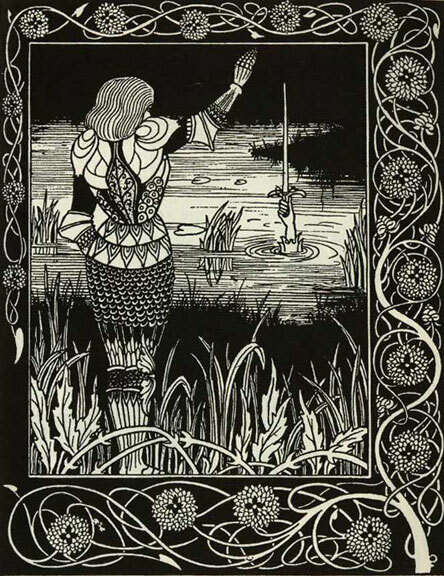 in PEPLUM history. I get chills watching it. Directed by Maestro Riccardo Freda. 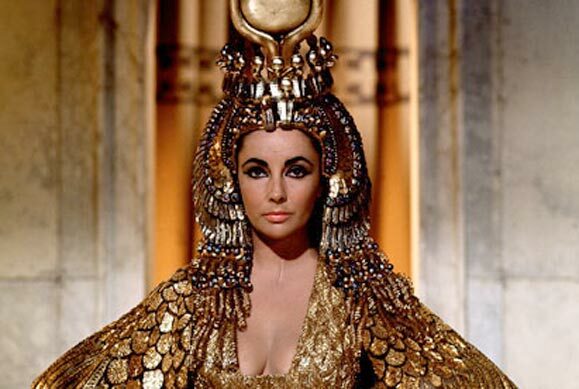 Though miscast as Cleopatra, Elizabeth Taylor's role is now the stuff of legends. 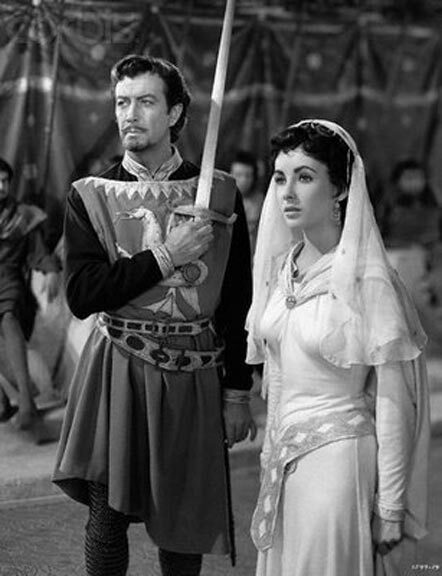 Elizabeth Taylor, with Robert Taylor, in IVANHOE. 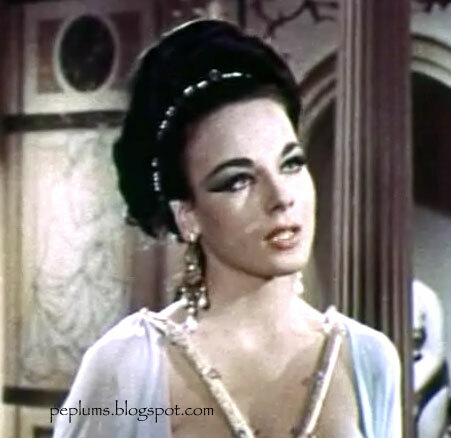 role went to Deborah Kerr. 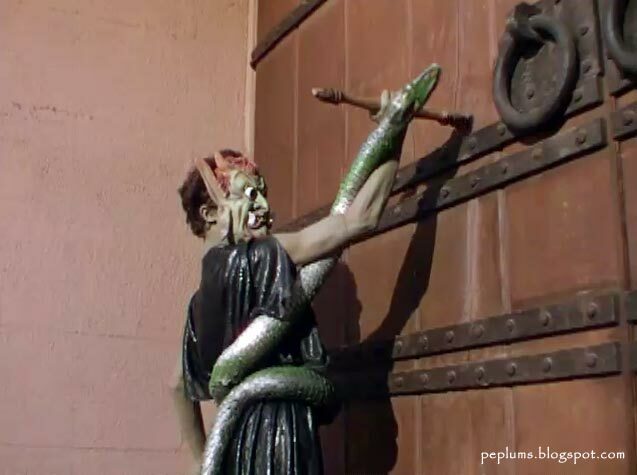 Climax from TERROR OF THE STEPPES starring the one and only Kirk Morris. of my favourite scenes ever. 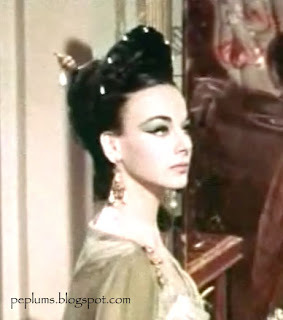 Scenes like this one made me a PEPLUM fan. Large scale stadium spectacle. Only in Europe. A mix of Cirque Du Soleil and Biblical spectacle. 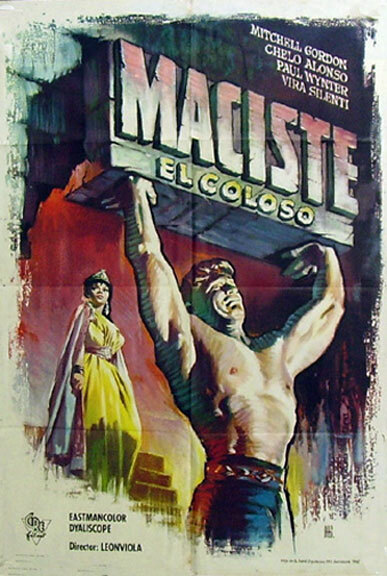 Spanish poster of MACISTE IN THE LAND OF THE CYCLOPS. The poster has a typo with Mitchell Gordon instead of Gordon Mitchell. 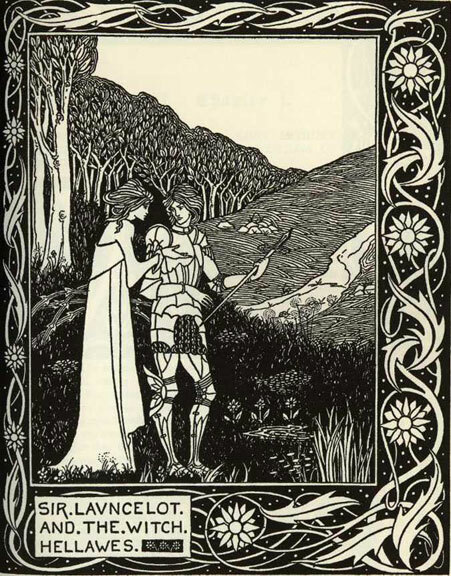 Beautiful poster. 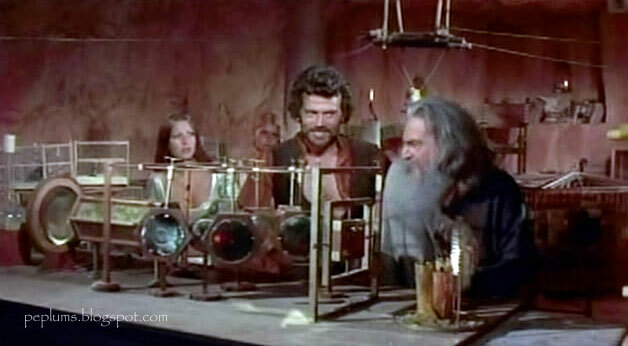 Amazing how laboratories from the past are so modern looking. Fun and cute but not really accurate. 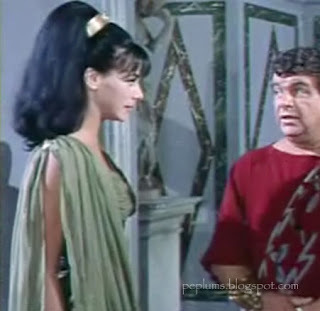 Mark Damon in THE TYRANT OF CASTILE. Beautiful mounted and filmed Swashbuckler with a few anachronistic problems. Big and rotund or chiseled and buff? 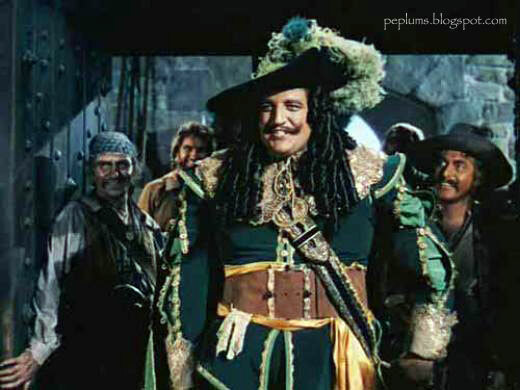 Laird Cregar in THE BLACK SWAN. Torin Thatcher in BLACKBEARD, THE PIRATE. 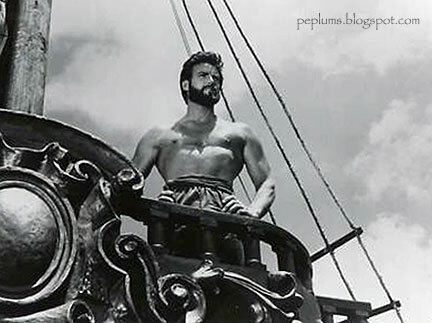 Steve Reeves in MORGAN THE PIRATE. 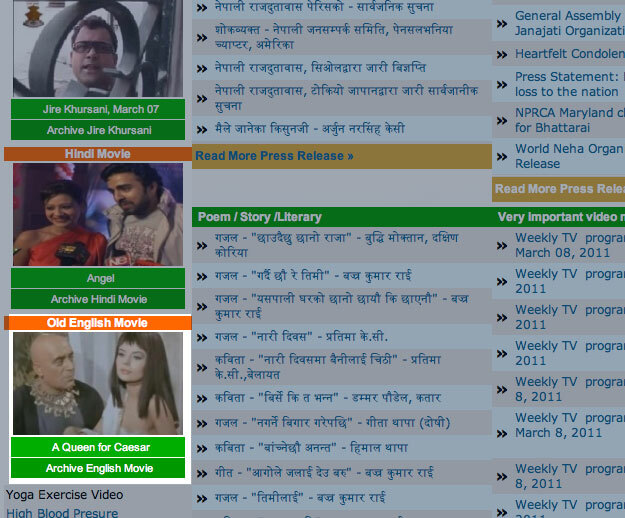 homepage (above) and have been getting hits after hits from it. Of all places. 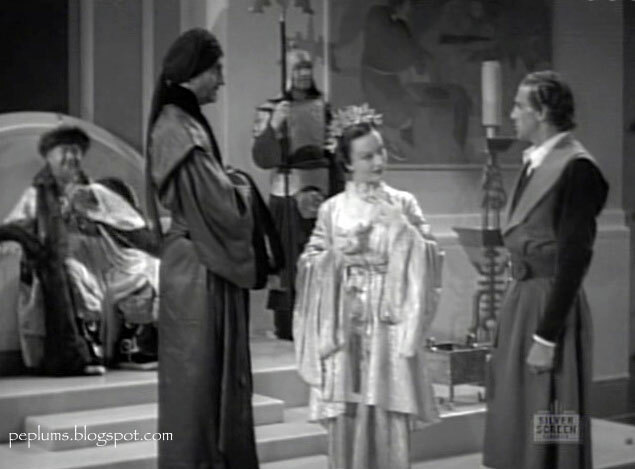 THE ADVENTURES OF MARCO POLO. 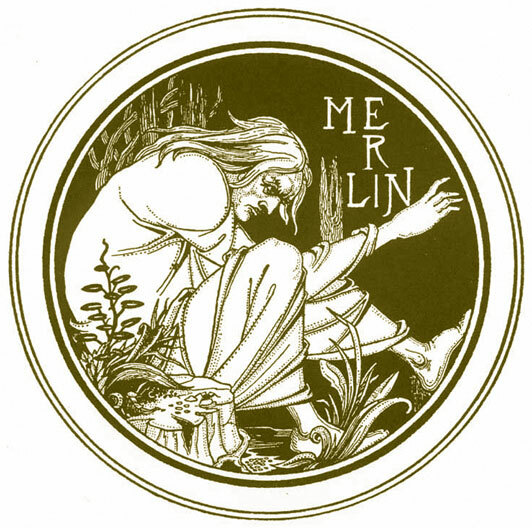 great cast and great production values. 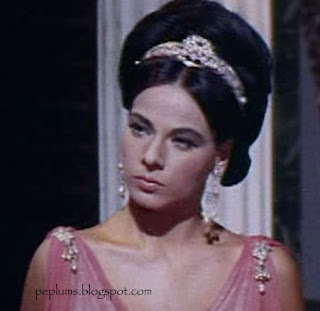 the same film, that I get her confused with other actresses, certainly with Hélène Chanel. 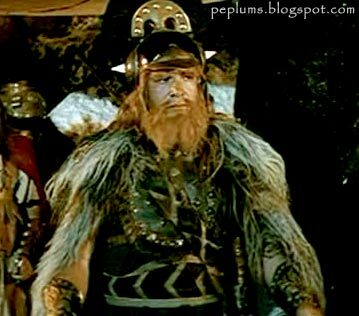 Fotonovela: Goliath gets the point!